On Tuesday July 31st, the Golden's Bridge FD was joined by Croton Falls FD at the Golden's Bridge Firehouse for some joint training. A brief discussion was done before everyone went into the field to practice hands on. 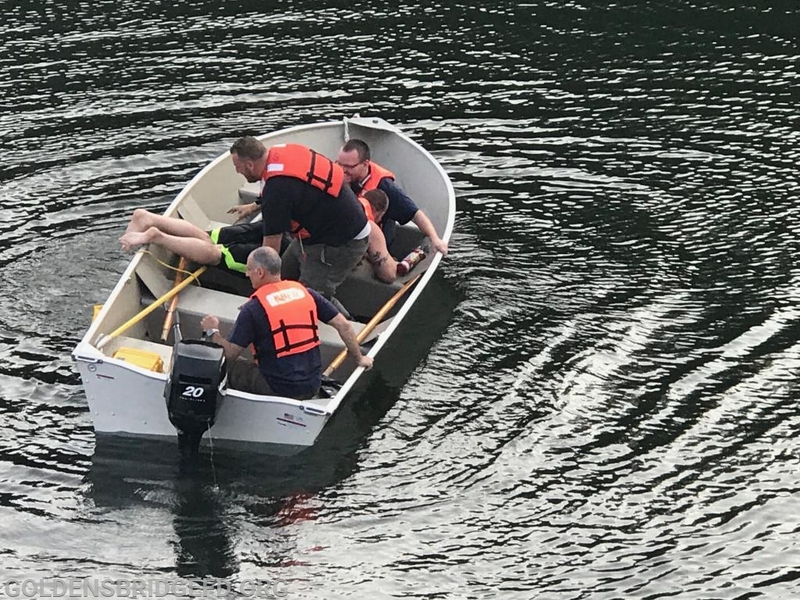 The firefighters and officers from GBFD worked with firefighters and officers of the Croton Falls FD as a team practicing many different skills. 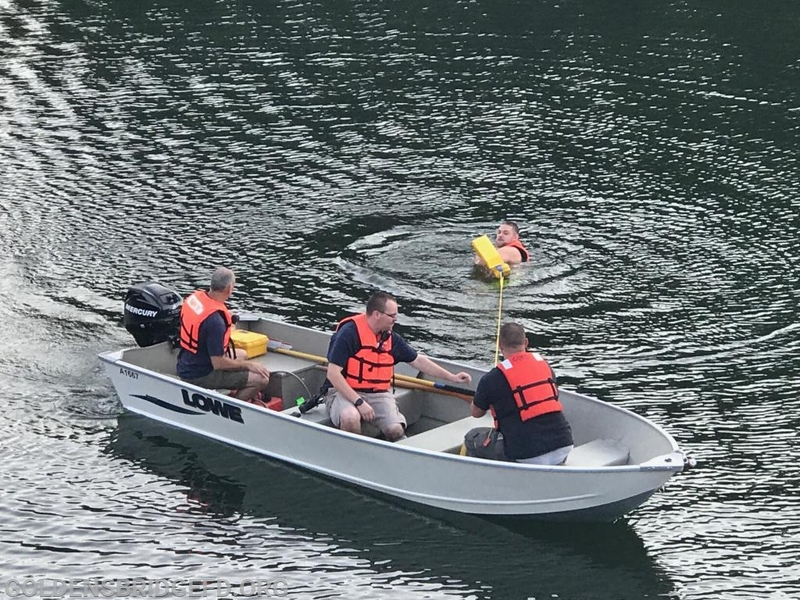 Some of these skills included boat operations, search and rescue operations , water rescue operations, communication operations, and general water operations. The two agencies spent about an hour and an half working together. We thank the CFFD for their continued support and taking time out of their schedule to let us train with them! We hope to train with them again in the near future! Units: GBFD - Car 2141, Car 2142, Car 2143, Engine 139, Rescue 25, Marine 25. CFFD - Car 2072, Marine Unit. GBFD Marine 25 crew deploying the rescue sling. 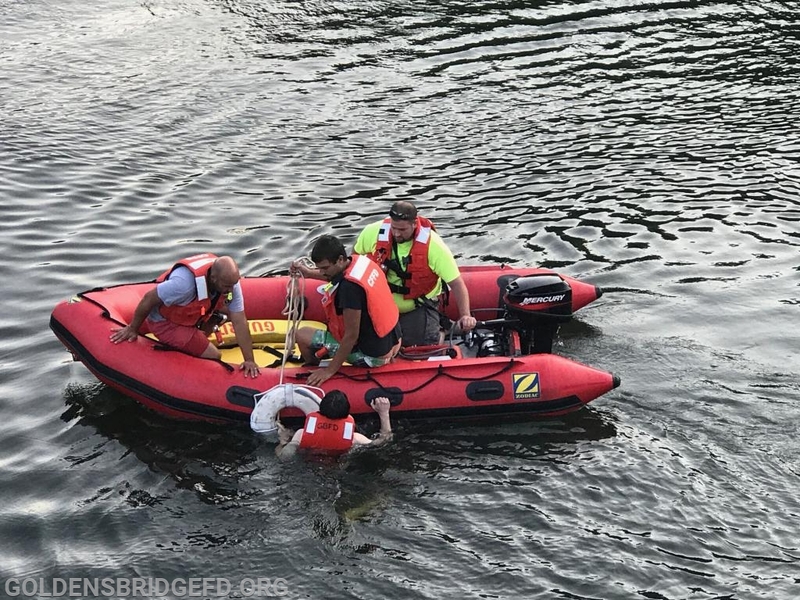 GBFD Marine 25 crew pulling the victim to the boat. 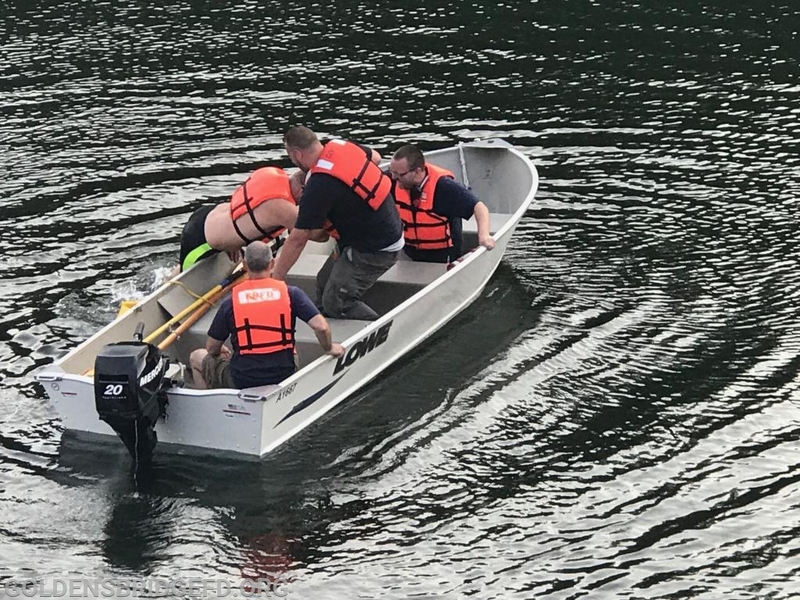 GBFD Marine 25 crew pulling the victim into the boat. 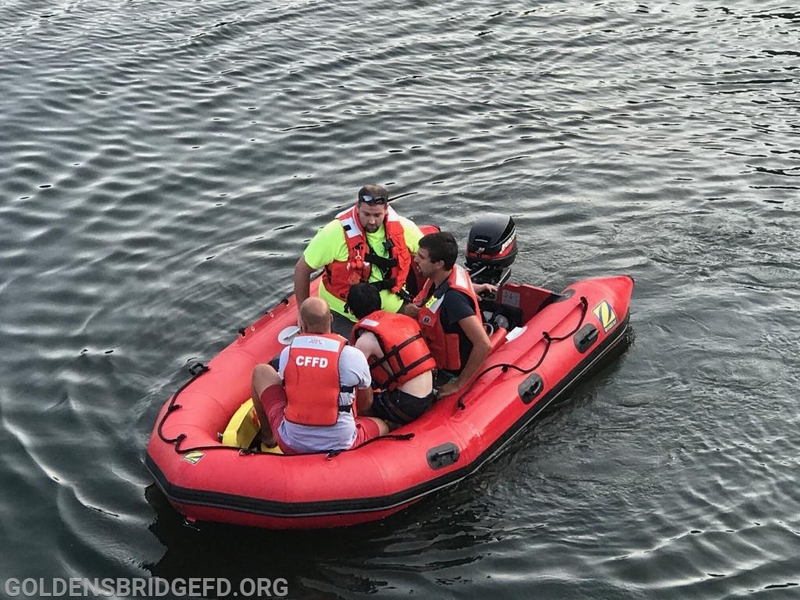 GBFD Marine 25 with the victim in the boat. 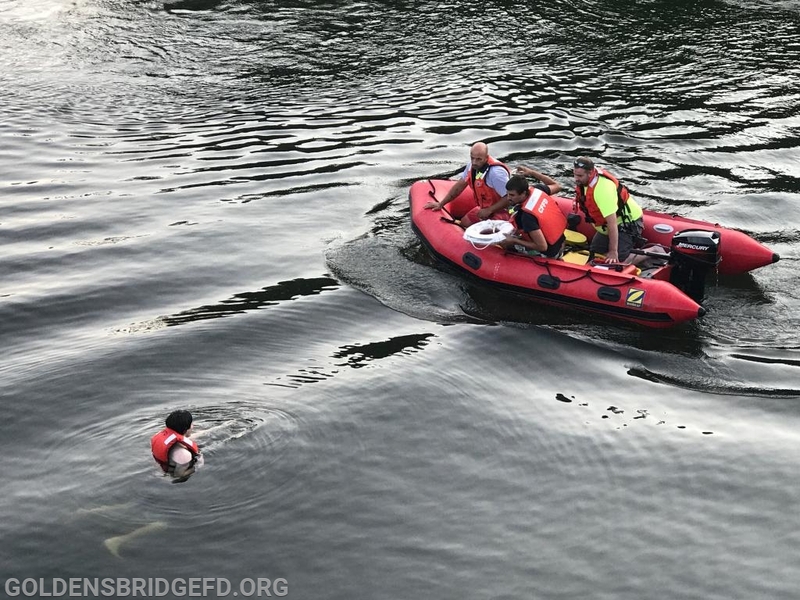 Another shot of GBFD Marine 25 with the victim in the boat. CFFD Marine crew deploying the rescue sling. 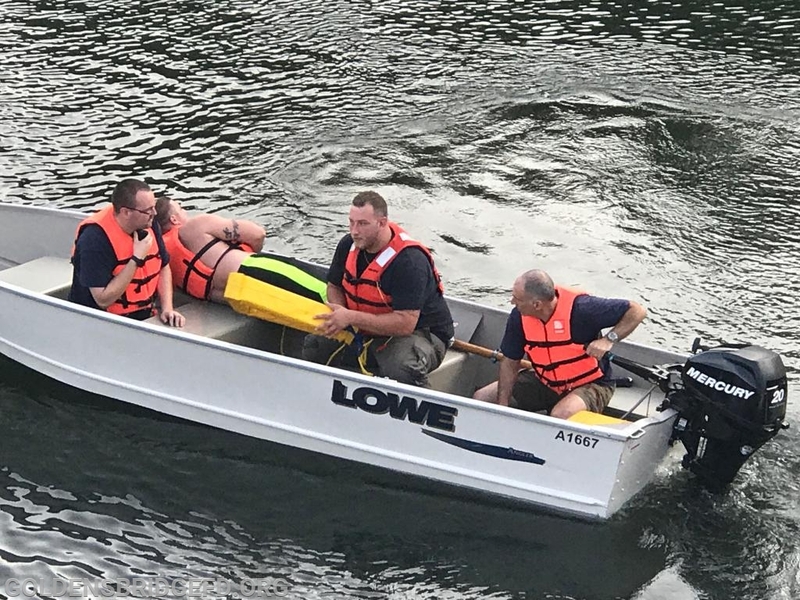 CFFD Marine crew pulling the victim into the boat. 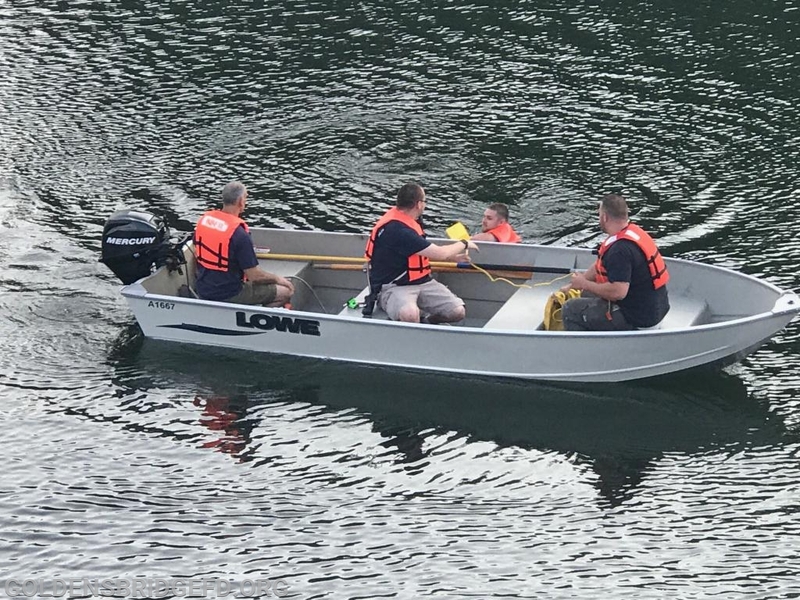 CFFD Marine with the victim in the boat. 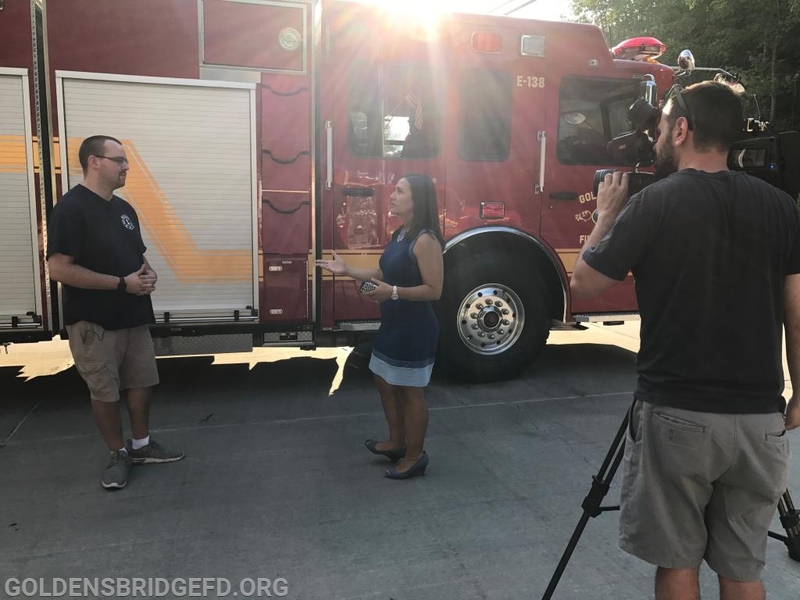 GBFD Chief of Department James McManus being interviewed by News 12. 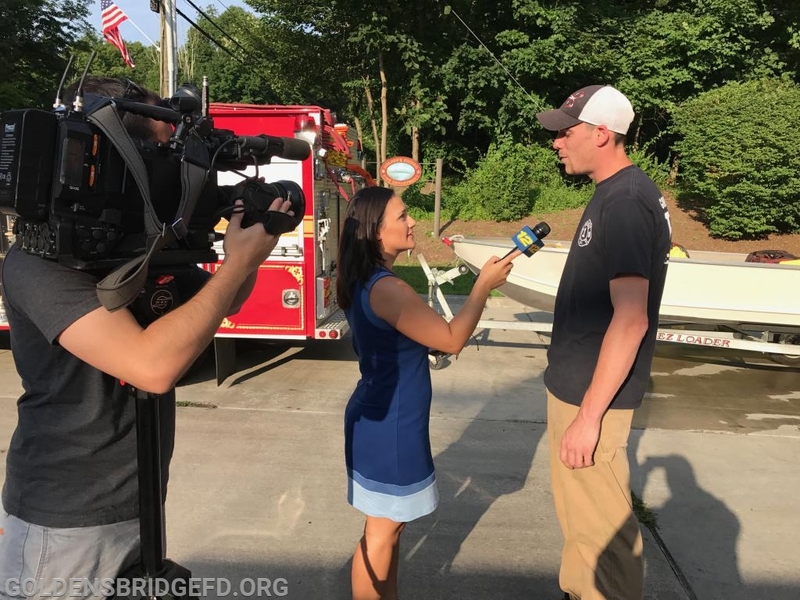 GBFD Rescue Company Lieutenant Raymond Baker Jr. being interviewed by News 12.